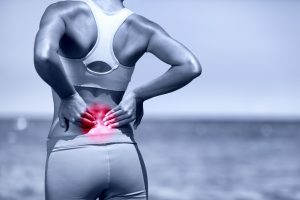 Are you suffering with back pain from running? Back pain is the most common complaint amongst runners and is something that we see regularly at Lilliput Health. Problems in the back and pelvis will often present as lower limb pain, as a result of you compensating for the problem when you run. Additionally, poor foot function is also a common trigger for injuries to the back, knees and ankles. One of our top tips is that you do not try to run through pain – it is your body telling you something is wrong! By treating the underlying problem and improving the function of your body you can enjoy improved overall performance and decreased chance of future injury. Book in for our Marathon Special package with Catherine or Lauren at our Lilliput Clinic in Poole. Appointments are also available at our clinics in Meyrick Park with Catherine and Ringwood with Lauren. Contact our reception team to book in for your FREE initial assessment today on 01202 725090 we will be happy to help!